15000 ரூபாய்க்குள் உள்ள Best Budget smartphones பற்றி இந்த video-வில் பார்க்கலாம். With so many choices in the budget smartphone category, it can sometimes get difficult to figure out which phones are the best when it comes to the 15k price range. 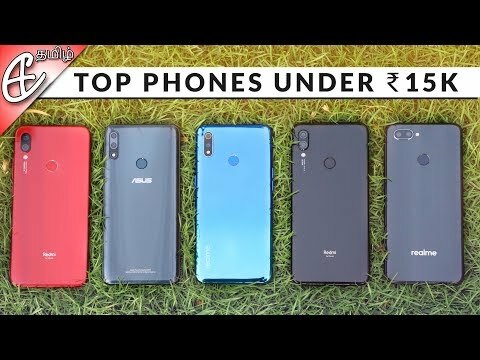 This is why in today’s video we have compiled a list of the best phones from Redmi, Realme and Asus that we think are the best bang for the buck choices when it comes to the 10-15k price range. We had to choose between a lot of phones and the ones that did make it to our list are the Redmi Note 7, the Realme U1, the Realme 2 Pro, Asus Zenfone Max Pro M2 and the Redmi Note 7 Pro. There are multiple other phones in this price range from companies like Honor ( Honor 8x, Honor Play ) , Samsung ( Samsung Galaxy M20, Galaxy M30 ) and even Xiaomi ( Xiaomi Mi A2 ) that despite being very good were not able to make the cut. The competition in the sub 15k range is really fierce and we expect the battle to get more heated this month as the Realme 3 Pro is launched! MIUI 11 - கம்மி Ads, அதிக Features - C4ETech Tamil!